Who wouldn’t like to spend a few hours getting pampered, while helping to raise money for your animal rescue group? I know I would. The Luxury Lock-up Fundraiser allows you to do just that! To hold a Luxury Lock-up Fundraiser is pretty simple. First, you need a venue that allows you to pamper your guests. A banquet hall, fire hall, gymnasium, even a local park during warmer weather. Next, you ask some local business owners, or volunteers to donate their services for your fundraiser. Services such as massages or massage chairs, spa treatments, food and beverages, manicures, pedicures, etc. It’s great advertising for local salons, massage therapists, restaurants, etc. Your services could even be through vendors such as Avon, Mary Kay, Perfectly Posh, and other such individual vendors willing to let your inmates sample their products. Or give your inmates make-overs or such. Then, you advertise your offerings for your Luxury Lock-up Fundraiser. Remember to utilize social media for great free advertising for your event. After that, you simply find some area business and community leaders who are willing to “Turn Themselves in”. During their hour (or two) of pampering, they make phone calls to their family, friends and business associates until they secure pledge donations for your animal rescue organization. Usually $100-200 per person. During their hour (or two) of pampering, they make phone calls to their family, friends and business associates until they secure pledge donations for your animal rescue organization. Usually $50+ per person, whatever your organization decides. You could even make them get their pledges before the pampering begins. Your so-called inmates can also invite others to “turn themselves in” and solicit donations also. Having scheduled times for each group is a great way to avoid having too many inmates at one time. Is there an easier, and more relaxing a fundraiser? I doubt it. 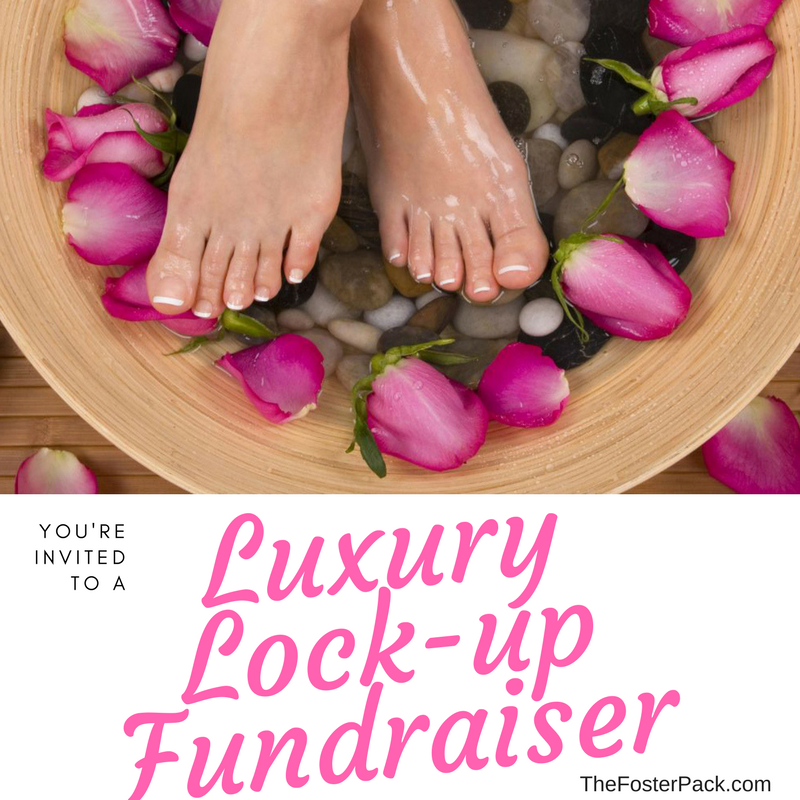 Your Luxury Lock-up Fundraiser will be an annual event that your local community looks forward to every year! Is your Veterinarian or Animal Hospital into “Big Business Box Care”?